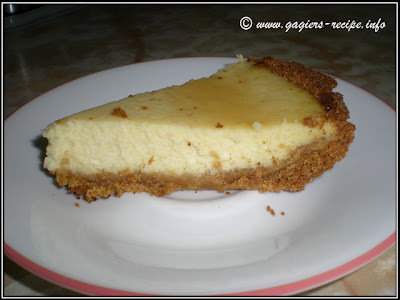 This homemade bake cheesecake is the dessert for the surprise dinner to my hubby. In a mixing bowl, beat cream cheese until fluffy. 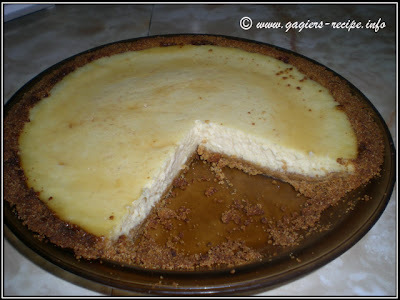 Gradually add in lemon juice, 1/2 cup sugar, milk, salt and vanilla. Add eggs, 1 at a time, mixing well after each addition. Pour filling into crust. Chill for 5 hours or more before serving. visit you lyn!! take care..
Hi there, a while ago we had talked about exchanging blogroll links. I was supposed to get back to you after I linked to your blog so you could link back. I linked to your blog already. When you have some time, please link back ok? Yummy delivious! agi agi aning imong panimalay. Take care and enjoy the week. Merry Christmas din in advance. Hi Carolyn, wishing you a Merry merry Christmas and a prosperous new year 2009! Play some online bingo games and have fun while you're waiting for that cake to rise.